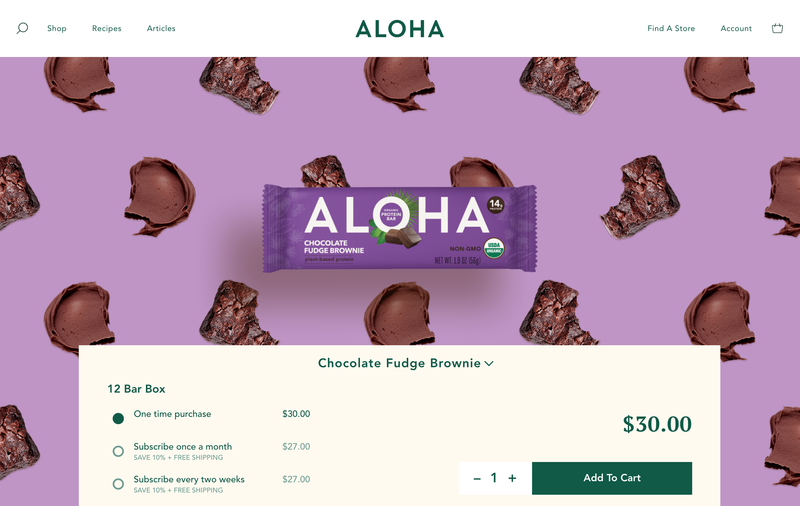 UI Enhancements to your eCommerce application can go a long way when you work with a professional Graphic Design Studio. White space or negative space is the space between and around elements of your design. 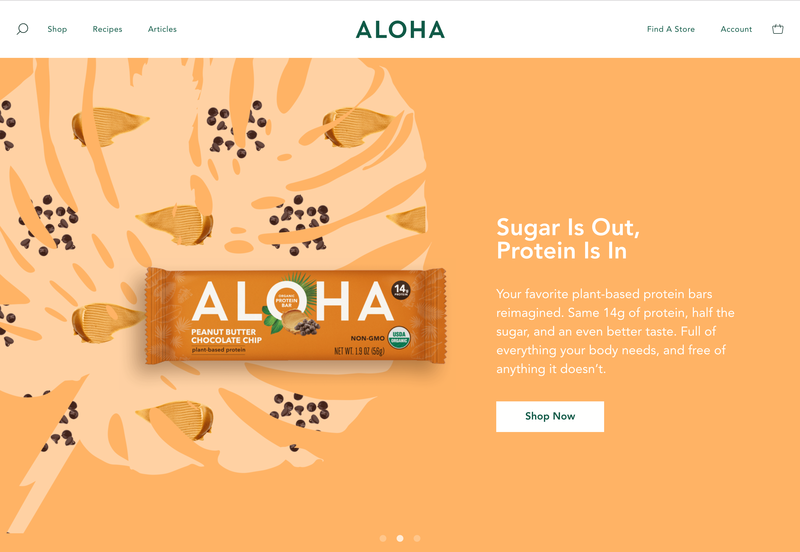 This negative space its part of top fortune companies around the world such as Apple, Shopify, Spotify, MailChimp and in this case we are using as a perfect example Aloha.com to point out the Graphic Design Techniques on their eCommerce platform. We start with the home page and only showing the above the fold since that is the most important part of a creative, user-friendly website on top of great SEO. 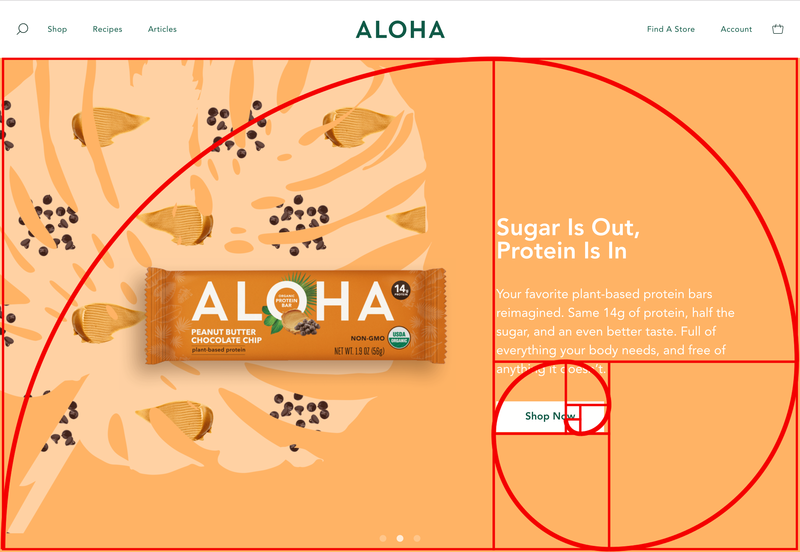 In this example they decided to only focus in maintaining two call-to-actions the most popular product, in this case, the candy bar and the second the "Shop Now" button, if you position the "Golden ratio spiral" on top you will see the two call-to-actions. Now, on the product layout, they decided to use a Circular Composition Technique that is used by various directors on films. This method works well on websites, affecting the point-of-focus right in the middle of the page directly on the product. Pay attention to all of the empty negative space between the elements of the site. You can visit the website here to see if for your self. If you resize the browser window, you will notice that the product and descriptions stay aligned with the composition of the design. 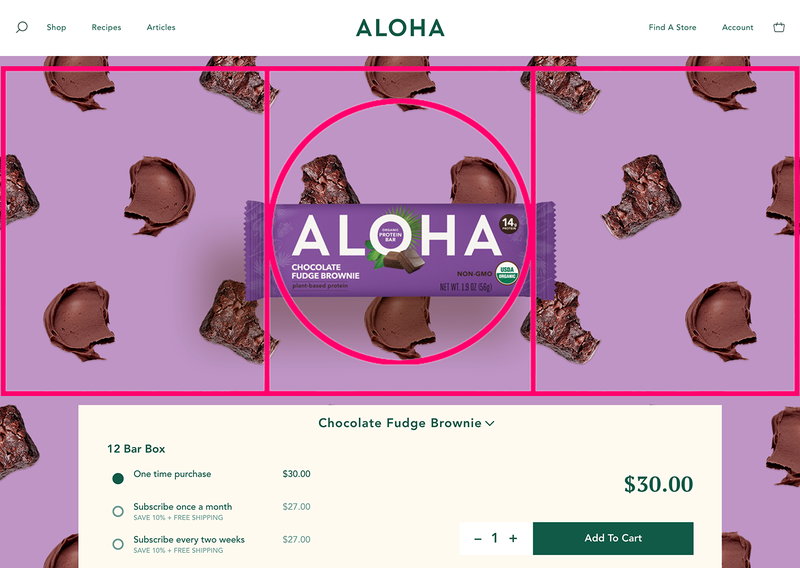 That picture above is a perfect example of a comprehensive Graphic Design Technique on e-commerce website design.